Year 5 is in the books! I am amazed at all I’ve accomplished. And I’m grateful for the incredible people that have surrounded me on this journey. One of the big themes this year has been overcommitment. Now that the school year is over, I am exhausted. I took on way more than I should have, but it is a learning experience. Now, after a week of summer break, I’ve almost recovered. I know we live in a time where busy is a status symbol, and if that is the case, then I am a queen. I have been blogging more, presenting more, and taking on new big projects. One of my big accomplishments this year is a collaborative book project called Fueled by Coffee and Love! It was a lot more work than I expected, but it was work of love. The paperback and ebook should be published sometime in late June 2017. That’s not to say I haven’t loved every minute of everything I’ve done! It’s just been a little more than I should have taken on. And, it has taken a few extra naps to get there. Although this has been a very busy year, it is also been a time of reflection. I have identified that I am overcommitted, and I have tried to take steps to reduce my commitments and say “no” more often. My saving grace is this year was teaching 0 period. It may sound strange, getting up extra early to teach at 7:19am, but it was worth it. One of the benefits is that I was done with school early on Tuesdays and Thursdays giving me a couple extra afternoon hours to relax (teaching periods 0-5, on block schedule). This allowed me to take better care of myself throughout the school year. I spent those extra few hours running errands, napping with the dog, reading, and not working. Even though I was involved in a lot of professional development activities and events, it always comes down to my kids. As long as I am doing the best job for my students, then I know that I am doing a good job as their teacher. We had a lot of fun in science this year with plenty of hands on labs and activities. My students love that we are active in our classroom. This year, I took on our new AVID 8 0 period class. It was my first time having 8th graders, and I love them. The best part was getting to loop with the kids–I had about ⅔ of the class as 7th graders in science and/or AVID, and knew the rest of them from around campus. 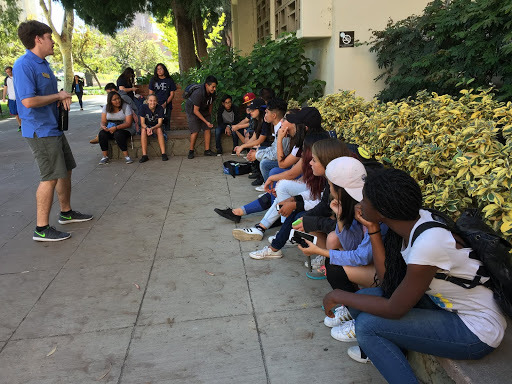 In AVID, we went on college field trips to USC and UCLA (yes, on the same day!) and CSU Fullerton. We researched colleges and careers, and did 20Time Impact Projects. 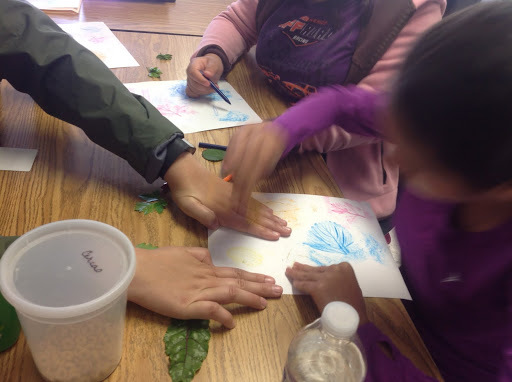 One of the highlights of my year was doing science with our moderate/severe special ed class. For the last seven weeks of school, I did science with this class once a week during my prep period. We grew tomato plants, made observations about our tomato plants and school garden, and kept a blog. (Eventually I’ll write a whole post about this.) I love working with this class because they are capable and imaginative learners, and love hands-on science. The goal for next year is to do science together once a week. And, we want to occasionally combine class so that our students can spend time together. This class has been a second home to me, and their teacher and support staff are so welcoming. I love being their science teacher! Additionally, we are also bringing Unified Sports to our campus thanks to my friend Val Ruiz. I think it is important that all our students have the opportunity to interact, no matter their physical, emotional, or intellectual abilities. 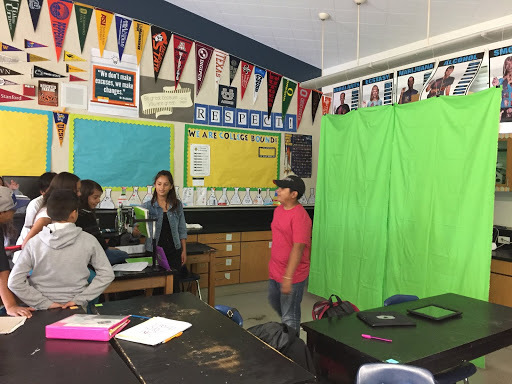 Another highlight of my year has been my technology role as a Blended Learning Specialist–I have a .2 (1 class period) to work with teachers, provide tech resources and support, and work on tech project. Additionally, I still run monthly Parent Tech Breakfasts. One new things this year is I started a “Virtual Vikings” newsletter that I post monthly in the bathrooms. Our staff LOVE this, and I got lots of positive feedback via text message, email, and in-person conversations. This school year, I had the opportunity to travel many places to present and learn with teachers from all around the country. I’ve been to New Mexico, multiple places within California, Georgia, Tennessee, and Arkansas to present at conferences and EdTechTeam summits. 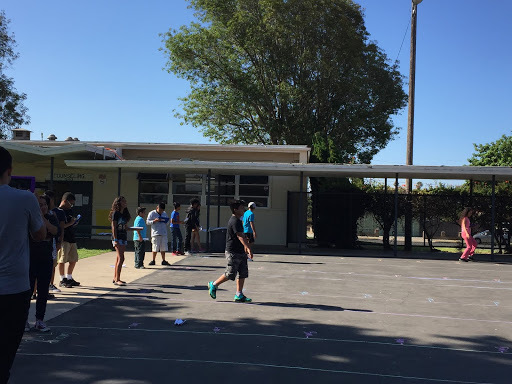 One of the best experiences was Google’s Geo Teachers’ Institute back in July. Although I missed days 4 & 5 of school, the learning opportunities were so worth it! Some of my goals for next school year include making my class more student centered and student run. I would like to turn over some control to my students. Another big thing coming up is that we are creating a few teams in our school. I am teaming with a math, English, and history teacher to better support our students, and we will share the same 90-100 kids. I’m looking forward to having the time and space to build better relationships with our students. Thank you all for making the 2016-2017 school year fun, productive, and a learning experience.